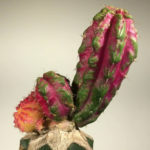 + Myrtillocalycium ‘Polyp’ is a graft chimera (bigeneric cactus chimera) between Myrtillocactus cochal and Gymnocalycium ‘Red Hibotan’. 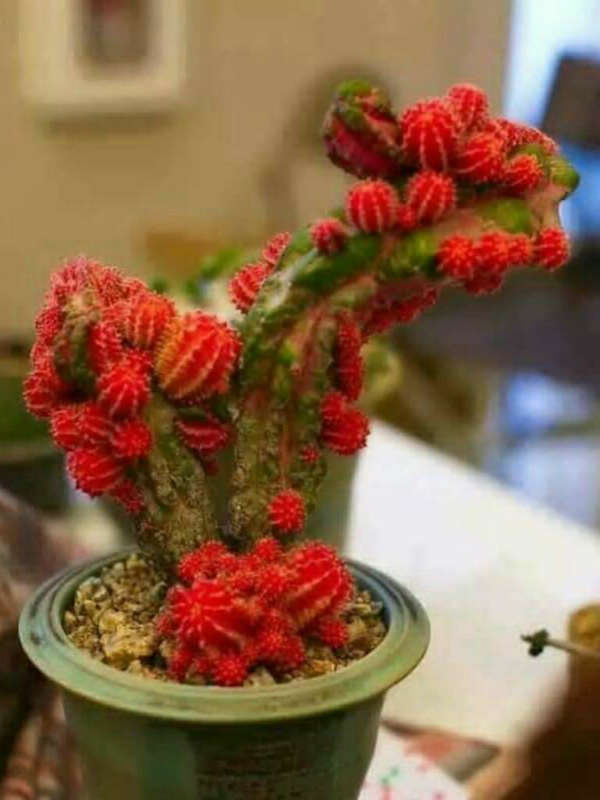 It is a colorful, red and green, columnar cactus. 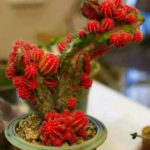 This very rare and unusual cactus is quite unstable and have a tendency to revert to common red Gymnocalycium shoots. 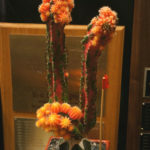 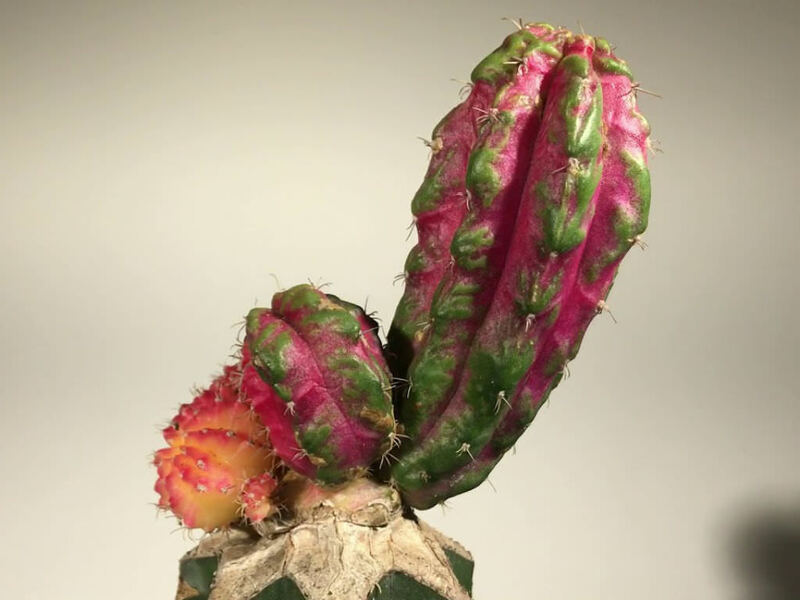 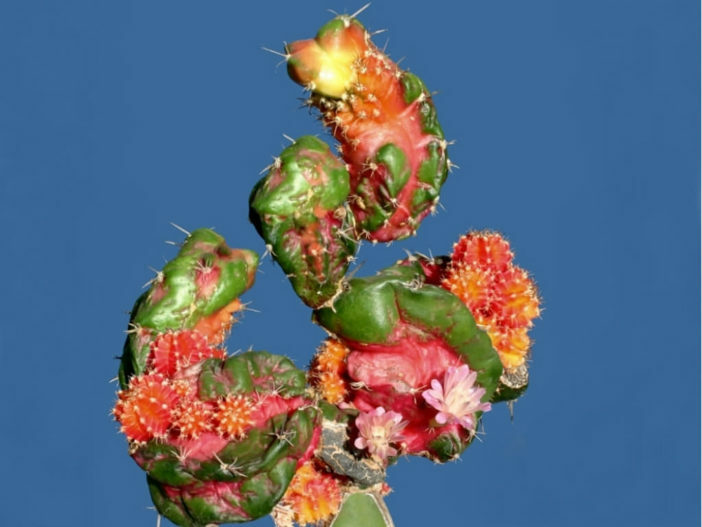 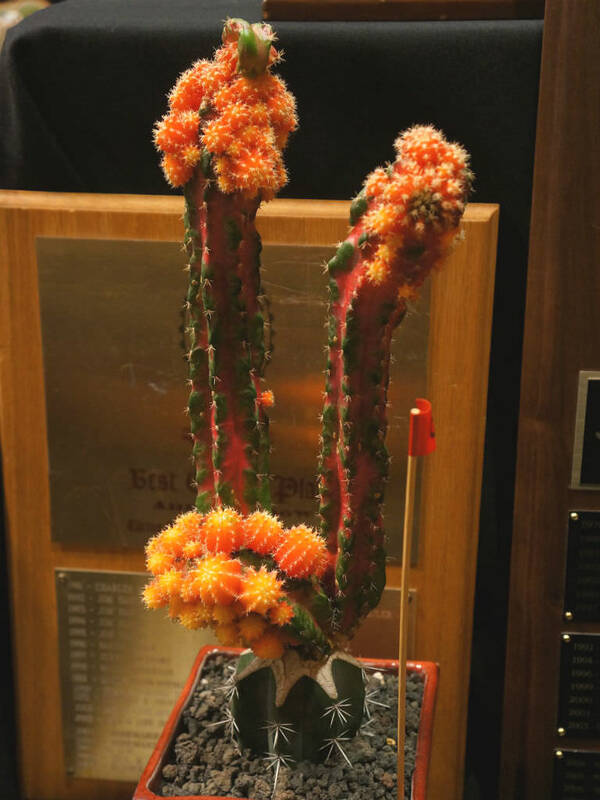 It is a graft chimera (bigeneric cactus chimaera) between Myrtillocactus cochal and Gymnocalycium ‘Red Hibotan’.